Here's a thought; how about-- instead of teaching a kid that not being instantly and effortlessly great at something is just so oh absolutely unacceptable and the way to respond to that is by blaming and throwing a tantrum-- instead of that, maybe allow them to play (win or lose) and progressively get better at the game and learn what overcoming a challenge and personal achievement feels like. Coming here and blaming the game and giving a one star rating is silly. It's not the game's fault your sister can't win. Not to mention you're commenting on a ROM, ffs. This game is a bit of disappointment. 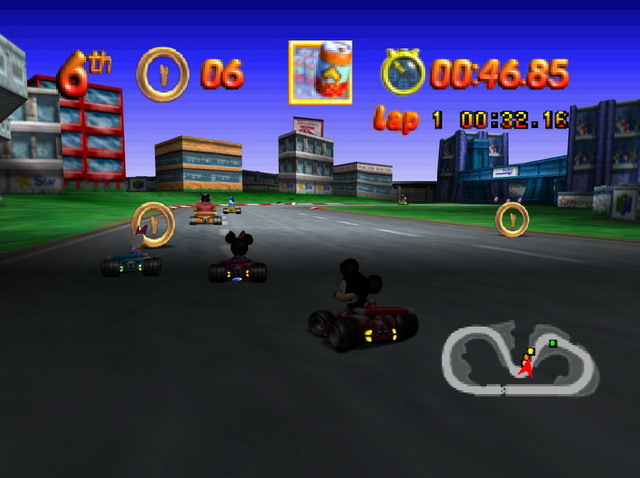 It's Mickey Mouse and the crew, so obviously you'd assume that it's a good game for little kids to play. 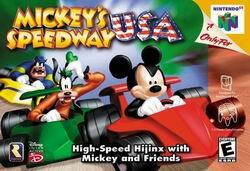 That's not exactly the case with Mickey's Speedway. The courses are nice - colorful and very cool. 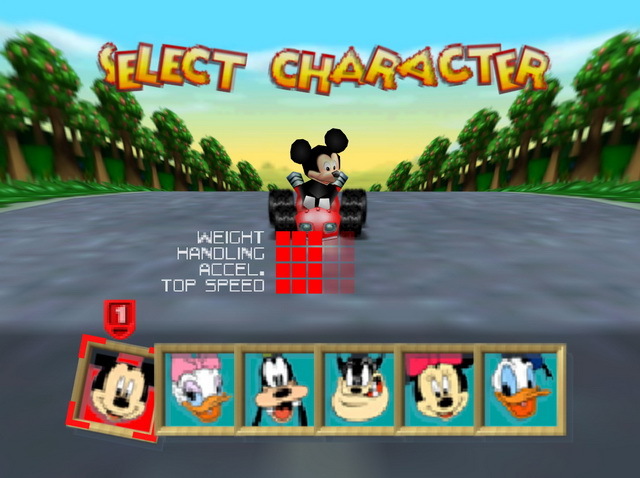 You get to choose from all the main characters of Mickey Mouse (a total of six I believe). 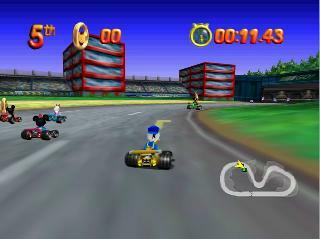 The real problem with this game was the controls - the cars are SO extremely hard to maneuver. 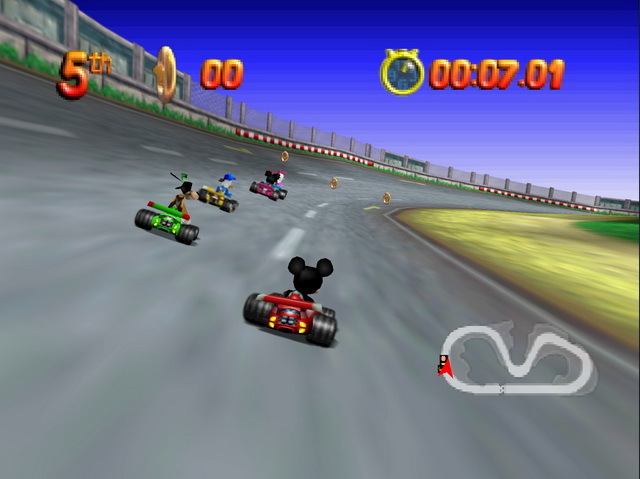 I cannot imagine how a 5-6 year old would have any hope of completing a race in a decent place. They don't, either. 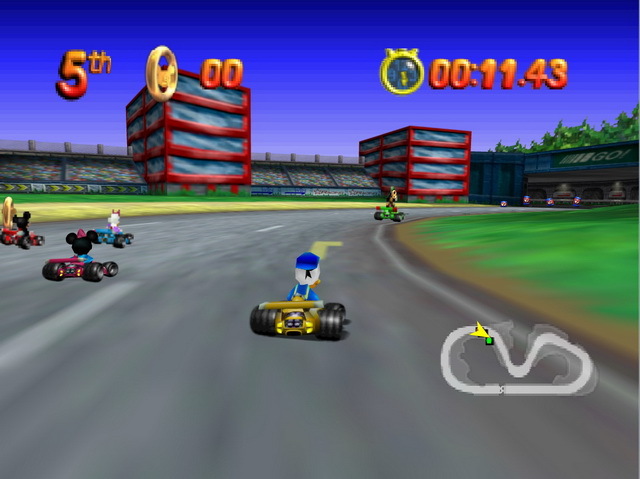 My five year old sister can never get more than last place, and it disqualifies you from the race if you are in last place, meaning you do not get to finish the course. She finds this very frustrating, and it's a little disappointing to say the least. 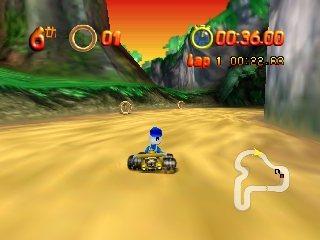 Another issue I find is that you do not have the option to have background music when you have more than 1 player. 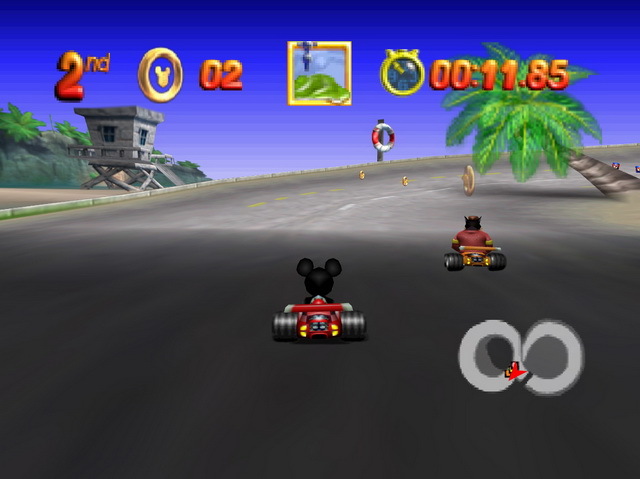 I would highly recommend Diddy Kong racing or Mario Kart before Mickey's Speedway unless you've really got a mickey mouse fan that doesn't mind giving it a try and has the patience to expertise their racing skills. The games synopsis is about Mickey's dog Pluto being kidnapped by the Weasels for he's "diamond" collar. 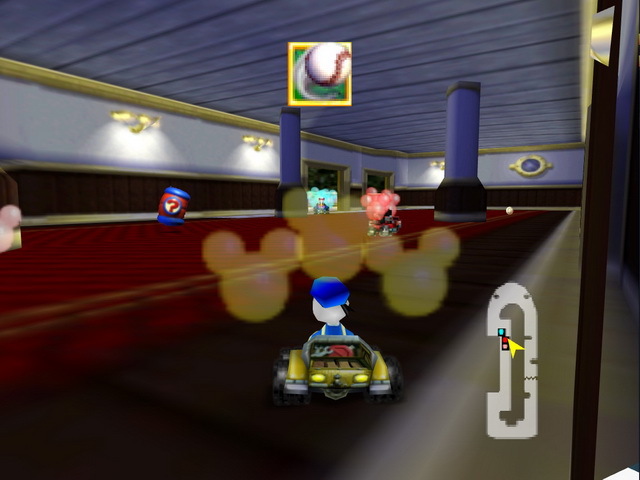 The players go through many tracks based on locations inside the United States, some consist of New York, Chicago, Alaska, Florida, Indianapolis, Grand Canyon, Dakota, and many other various tracks. Now you can add videos, screenshots, or other images (cover scans, disc scans, etc.) 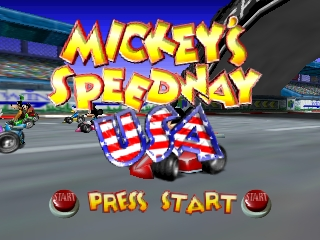 for Mickey's Speedway USA (USA) to Emuparadise. Do it now!